30/12/2015 – Photoreport about pedition YU1INO/P, YU1PRM/P and YU2DXB/P to Pirot Fortress, WCA/CISA: YU-00016! 29/12/2015 – WCA & CISA pedition of YU1INO/P, YU1PRM/P and YU2DXB/P to Pirot Fortress! – The members of Radio Club «Pirot”, inc. Milan YU1PRM, YU2DXB and others operators will be active on the 29th of December 2015 from Pirot fortress, WCA/CISA: YU-00016. They plan to work as YU1INO/P, YU1PRM/P and YU2DXB/P on 20 and 40 meters. QSL via bureau. 73 & 11! [tnx info YT2KID]. 29/12/2015 – WCA & COTA-DL pedition of DL1JKK/P to Rochsberg Castle! – Karl, DL1JKK will be active on the 29th of December 2015 from Rochsberg Castle, WCA: DL-01276, COTA-DL: SAX-170 (new one!). He plans to work as DL1JKK/P beginning from 07:30 UTC. QSL via Home Call. 73 & 11! [tnx info DL1JKK]. 24/12/2015 – Merry Christmas and Happy New Year! 22/12/2015 – WCA & COTA-DL pedition of DB7MM/P to Burgruine Julbach! – Michael, DB7MM is going to be active on the 22nd of December 2015 from Burgruine Julbach, WCA: DL-03957, COTA-DL: BOB-051. He plans to work as DB7MM/P beginning from 13:30 UTC +/- 1 hour on 7.131 MHz +/- QRM, 14.251 MHz +/- QRM, handheld standby on 145.500 MHz. Check http://www.cqgma.eu/spotlist.php for exact QRG and time. This activation is also valid for GMA DA/AV-347. Please spot him in cluster. In case of poor weather the activation will be cancelled. QSL via Home Call. 73 & 11! [tnx info DB7MM]. 19/12/2015 – WCA & COTA-RU pedition of RZ1CWC/M to Fort Tretiy Severny! – Andrey RN1CW is going to work on the 19th of December 2015 from 10 till 11 UTC from Fort Tretiy Severny, WCA: UA-00314, COTA-RU: F-125, RDA: SP-09. He plans to work by CW on 14.044 Mhz and 7.024 Mhz and by SSB on 14.251 Mhz +-QRM as RZ1CWC/m. QSL via Home Call, bureau or direct. 73 & 11! [tnx info RN1CW]. 17/12/2015 – The 10th anniversary of the award programs UFF & UCF! – the 10th anniversary of the award programs UFF & UCF by Radio Club “DELTA”, Ukraine. For detail information, please visit at: HERE . [tnx info UR7UT]. 17/12/2015 – New members of WCAG! # 158, UC7RAA Vladimir Shapunov. 17/12/2015 – Photoreport about pedition YT2KID/P to WCA/CISA: YU-00065! 11/12/2015 – WCA & COTA-DL pedition of DL1SWB/P to Castle Slawenburg in Neu Brenz! 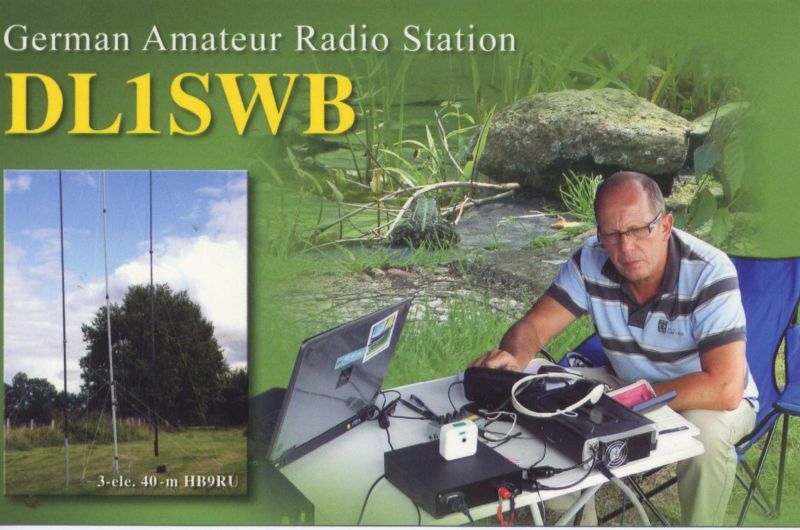 – Dieter DL1SWB will be active on the 11th of December 2015 from Castle Slawenburg in Neu Brenz, WCA: DL-03693, COTA-DL: MVB-424. He plans to work as DL1SWB/P beginning from 08:00 UTC on 40 meters. It is the first activition from this castle. If you hear him, please put he in the DX Cluster, thank you. QSL via Home Call. 73 & 11! [tnx info DL1SWB]. 06/12/2015 – WCA & CISA pedition of YT2KID/P to Markovo Kale Castle! – Dragan YT2KID will be active on the 6th of December 2015 from Markovo Kale Castle, WCA/CISA: YU-00065. He plans to work as YT2KID/P on 20 and 40 meters. This activation is devoted to celebration of 660 years of the first Serbian Tsar Knight Dusan and for the first 15 QSO will be issued special award. 73 & 11! [tnx info YT2KID]. 06/12/2015 – WCA pedition of LZ2HT/p to Kaliakra Fortress LZ-00011! 03/12/2015 – New members of WCAG! # 157, SM5ELV Kent Karrlander.